Recruitment and onboarding games can be used to acquaint people with your organisation, to introduce new employees, for recruitment, but also to show people everything your company does. Personnel and (potential) customers learn about your brand, your operations and your vision in a relaxed yet informative manner. Our recruitment and onboarding games are always tailored to your needs. After all, it’s all about your organisation. We do make use of proven game models, but we adjust them to suit your needs. Below you’ll see our three game models. Let us know what you need and we’ll be happy to make you the right offer. Possible for 5 to 5000 people and in several languages! Based on that notion, we organise interactive Live Business Games for communication and learning projects, employer branding, process and change management and teambuilding. We believe that people are the driving force of successful organisations, but we don’t believe in training based only on one-way traffic. By means of interaction, collaboration and directly experiencing do’s and don’ts in an energetic live simulation, we stimulate people to get the best out of themselves and others. That gives us (and the participants) energy! New employees get to know your organisation in a fun and interactive manner. In this game model they immerse themselves in the information about your organisation and then know precisely what you do and what you stand for. Competitive, informative and lively! Let candidates get acquainted with your organisation and market while you yourself assess their qualities. Our Recruitment Game is informative, interactive and fun! Candidates literally fight each other for profit while running their own business. 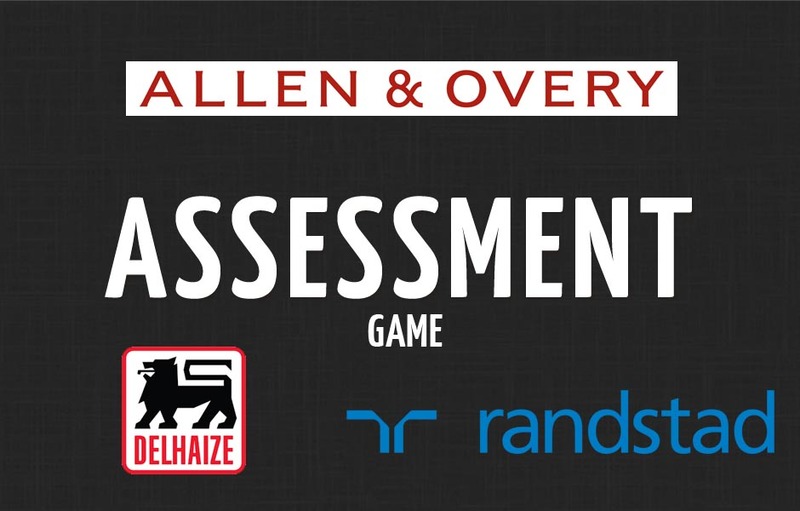 The Assessment Game from Business Games gives a good picture of how candidates perform in their working environment, but without it resembling an assessment. Do they achieve their goals and what are their strengths and weaknesses? You get behind that in an interactive, informative manner. Not sure what's the best Onboarding / Recruitment Game for your company? We can help! Just tell us a bit more and we'll gladly advise, or call +353 87 633 8687 from Ireland and +44 745 210 5694 from UK.